September « 2015 « Geekorner-Geekulture. There’s a week until the Fall 2015 season begins in earnest, so it’s time to look towards the new season, and put behind us a season where I didn’t watch what I was most excited for (will do my best to catch up soon), and found some of the shows I wasn’t excited for to be quite good. Expect a season overview in a week or two. As always, in these posts I cover shows I plan to follow, or have thoughts on why I will not follow them, or considered following and decided not to. As always, I try to strike a balance between giving you enough information on the show, and telling you why I think it is or isn’t worth watching. Shows ordered by day, and by expectation within the day, as that affects pick status. The “Almost In” category returns, describing shows that I’d pick up in prior seasons, but decided to put aside in order to make more time for backlog, after growing unhappy with how many of the shows I pick up ending up “not worth the time”, let alone “good”. Much space is given to the people involved with a show, as premises are easy, but execution is hard, and it’s people who are in charge of that. Most of the information about the shows can be had from the helpful Neregate Chart, and what I’ve happened to see on various sites, such as The Cart Driver. Check them out if you want more information, or information on shows I didn’t cover (such as follow-ups to shows I don’t watch). 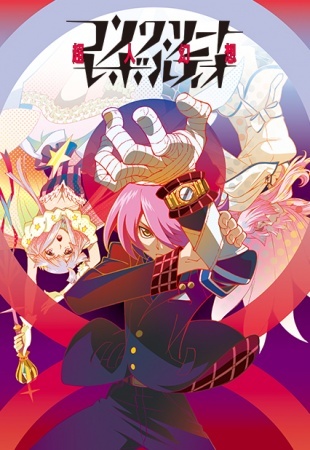 Concrete Revolutio: A Superhuman Fantasy / Concrete Revolutio: Choujin Gensou – All the fantastical creatures of stories, mythologies, and comics come to life, and it’s the Supernatural Bureau’s job to take care of them. The very colourful preview put me in mind of the old X-Men cartoon which is fitting, but also of the French 1997 cartoon Enigma which I was fond of in the past. On the Japanese front, it made me think of Gatchaman Crowds and Tiger and Bunny on one hand, and Hamatora the Animation on the other. It’s definitely stylish, and it’s a sort of setting that lends itself to all sorts of colourful and fun shenanigans that could also house some incisive social critique, as many of the shows I namedropped have done (and often done both).